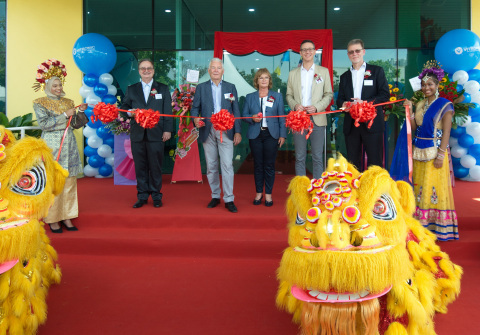 The ceremonial opening of the new VITRONIC subsidiary takes place on March 28 in Penang, Malaysia. Partner companies, customers and top management are in attendance. The Malaysian branch will become the new full-service provider for VITRONIC customers in South-East Asia. Companies such as Malaysian Post, DHL, FedEx and Thai Post will implement systems for logistics automation, industrial automation and traffic technology. In addition to branches in Shanghai, China, and Melbourne, Australia, Penang is now the third VITRONIC site in the Asia Pacific region. Penang will provide both hardware and software engineering as well as training and testing. Furthermore, the subsidiary will offer services such as installation, commissioning and service for 11 countries in the region. Quick response and delivery times will be backed by 24/7 service and a large-scale warehouse. The presence of the new VITRONIC subsidiary will also help to create numerous jobs in Penang. With over 32 million people, Malaysia has been one of the fastest growing national economies in the world for many years. Approximately 30% of university graduates have degrees in STEM fields of study. This means VITRONIC will not only be successful in finding the right personnel but also be able to meet its customers’ high expectations from the outset when it comes to products that are “Made in Germany”. “Open for business” will be the official motto as of March 28, 2019. VITRONIC is a world leader in industrial machine vision. The owner-managed group of companies develops innovative products and customized solutions in the growth industries of industrial automation, logistics automation and traffic technology. With over 30 years of experience, VITRONIC offers a unique portfolio of systems and software for image- and sensor-based quality inspection, identification, traffic monitoring, and toll collection. Customers include renowned companies as well as government agencies and public authorities. VITRONIC systems play a major role in ensuring the highest levels of quality and economic efficiency in the production processes of the automobile, photovoltaic, and pharmaceutical industries. In logistics centers and cargo airports worldwide, VITRONIC's Auto-ID solutions offer the efficient capture and integration of shipment data and ensure the transparent flow of goods. In the traffic technology sector, VITRONIC offers high-performance technologies to ensure increased road safety and improve traffic flow. Since its founding in 1984, VITRONIC has grown continuously and is currently represented by about 1,000 employees on four continents. VITRONIC offers support to international customers through its subsidiaries in North America, Europe, Asia and Australia, plus through a global network of sales and service partners.